Welcome to the home of the Tyrone Area High School Bands. 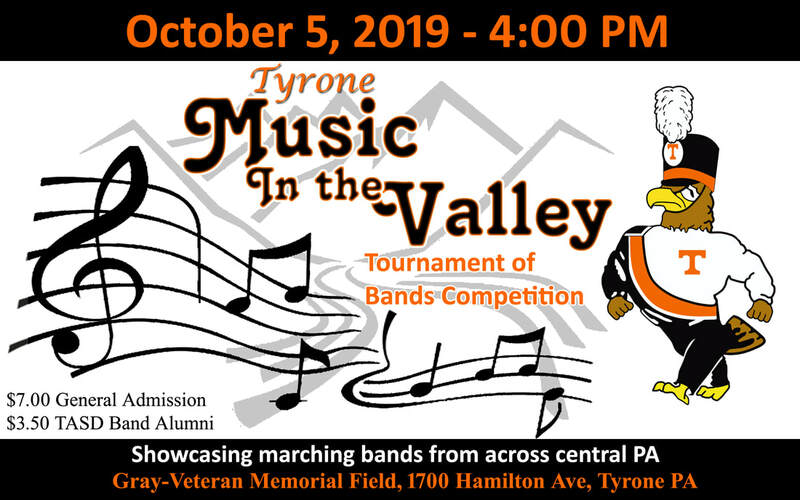 We are a small school located in the scenic mountains of Central PA.
​ Are you a current member, family member, or fan of the band? Be sure to follow us on Facebook, Twitter and YouTube using the links below.